Spring is here and so is a new month full of fun stuff to do. 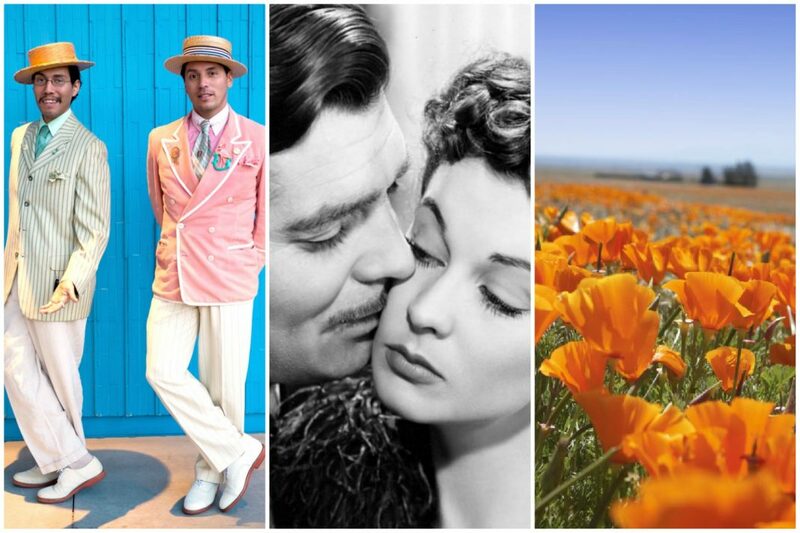 From a musical about the planet’s future after trump to a flower fest in Lancaster, here are our picks for the best things to do in L.A. in April. The iconic company brings four programs to the Dorothy Chandler Pavilion in celebration of the big 6-0. Each performance offers an embarrassment of riches, with choreography by the likes of hip-hop star Rennie Harris and scores by masters such as avant-garde composer Max Richter. You can’t go wrong no matter which show you choose. Billed as Star Trek meets Avenue Q meets Trump, this Fringe Festival award-winning musical and its political antics earned an extended run at Second City Hollywood. In a scenario that can only be described as otherworldly, the show takes place 400 years in the future and follows a human race that, as a result of No. 45’s tenure, is in need of a new planet. As part of a brief North American tour, singer-songwriter González stops by the Los Angeles Theatre for a pair of shows, accompanied by his talented pals from Gothenburg, Sweden’s String Theory collective. Love is a many-splendored thing—or so says TCM. This year the channel’s gathering toasts cinematic affection as seen in flicks like Gone with the Wind and From Here to Eternity. Don’t miss the opening-night screening of When Harry Met Sally, attended by Billy Crystal, Meg Ryan, and Rob Reiner. The Skirball pays homage to New York photographer and darling of the second Harlem Renaissance Kwame Brathwaite, who captured men and women of the black arts scene in the 1960s. This is the first major exhibition dedicated to his work. Ever (weirdly) wished you could have been on the Titanic the night it sank? This is the closest you’ll get: The Queen Mary hosts a black-tie event in honor of the ill-fated ship, one that includes a seven-course meal, inspired by the final first-class dinner served on board, and a séance led by illusionist Aiden Sinclair. Gather your fanciest vintage duds and head to Disneyland for a nostalgia-filled day at the Happiest Place on Earth. No spats? No problem: Snag a tweed vest or a string of pearls at a 30,000-square-foot marketplace in the Disneyland Hotel before strolling into the park. The revival of William Finn and James Lapine’s Tony Award-winning, neurosis-infused musical—about a gay New Yorker who leaves his wife and son for his lover during the AIDS crisis—makes its way to the Ahmanson. We won’t spoil anything, but trust us: It packs a one-two punch that’ll hit you right in the feels. Some 25,000 people are expected to traipse through Descanso Gardens’ Boddy House—a Hollywood Regency-style manse built in ’38 for newspaperman Manchester Boddy—during its tenure as this year’s home and garden tour site. Once you’re done ogling the architecture, head to Descanso’s Maple restaurant for bread pudding. Extend your Earth Day celebration at Lancaster’s Sgt. Steve Owen Memorial Park, where hill after rolling hill is covered with our stunning state flower. Snap a colorful pic for the ’Gram before indulging in food and live music.